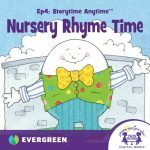 Nursery rhymes are a great way for kids to learn early literacy skills with silly rhymes and positive endings. Even though Humpty Dumpty has a great fall, children work together to mend Humpty with glue and tape. Fun sound effects coupled with adorable songs will have everyone laughing and singing along with these 12 classic nursery rhymes.